Need funding and 3D printing for your business but don’t know where to start? 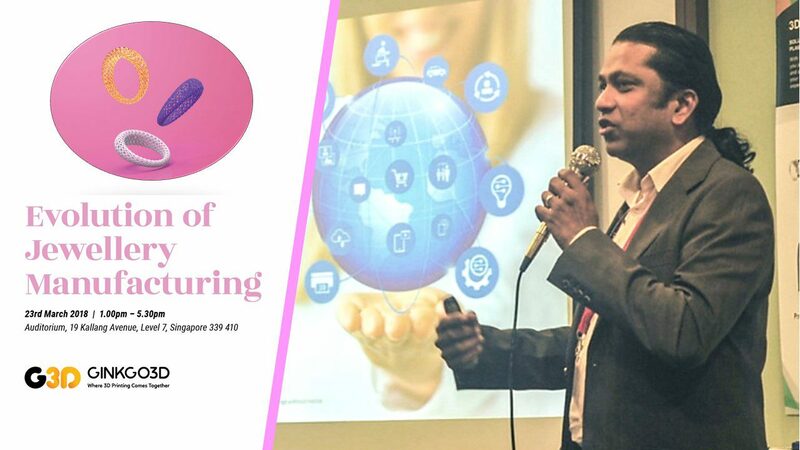 Look no further than NAMIC, as presented by Mahendran Reddy at the Evolution of Jewellery Manufacturing. Ginkgo3D’s jewellery event attracted an overwhelming response from traditional and digital jewellery designers alike to a cosy showcase of jewellery design methods and 3D printing. The event covered topics on various aspects of 3D printing trends and opportunities in the jewellery industry. It was held on 23 March in the auditorium at 19 Kallang Avenue.